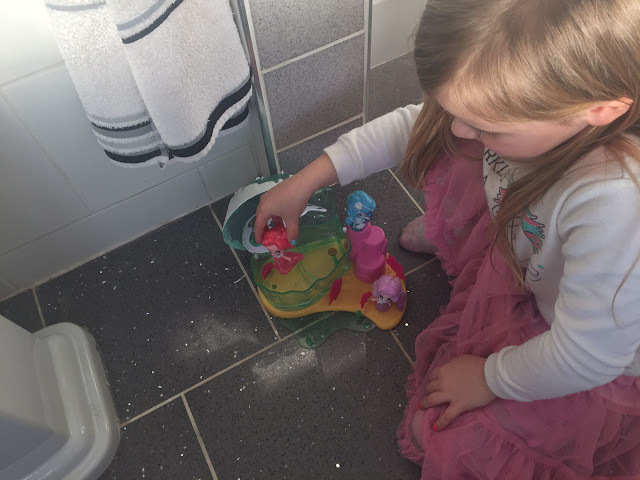 Have you heard of Glimmies before, I certainly hadn't until recently when I was asked if my children would like to review some of the upcoming Aquaria range. As it turns out I should have known what they were because my youngest two had bought themselves a couple of them last year (shows how much I pay attention right?!). These little collectibles started out as star fairies and in the dark each of these tiny creatures could magically light-up shining bright in their individual colours but when placed in the light and they would hide their glow ready for another night. Standing at roughly 6 cm tall these small dolls each have distinctive features and the newest range come in the form of mermaids who live in an underwater village. And with magical things like mermaids and unicorn becoming more and more popular what better toy to start collecting. How do Glimmies Aquaria work? What makes this range different is that instead of the dark activating their lights, it is instead the water in which they live in that causes them to glow! So instead of being star fairies, they have transformed into marine fairies. 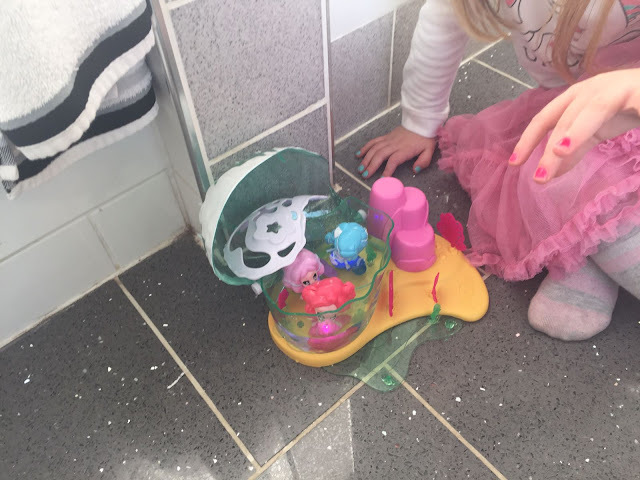 So when combined with the Glimsplash play set children can have hours of fun. When this arrived my lot automatically requested using it at bath time, normally I'll get moans about having to wash, now I can't get them out of the tub! Let their imagination take over, simply open up the play-set to reveal an underwater play area. Fill with water and immerse your Glimmies inside. As soon as you remove your Glimmies' from the water their light will go out. Well the Glimsplash play set actually comes with an exclusive Glimmie, only the Queen of Aquaria herself and on top of this there are another 17 Glimmies Aquaria in total to collect which means your child/ren can expand on their enchanted new world with each Glimmie that they purchase. Each Glimmie comes with batteries included and a collectors guide so that you can tick off the ones you've already got and this also gives you the names of each of them too. In my opinion, yes they are well worth buying. 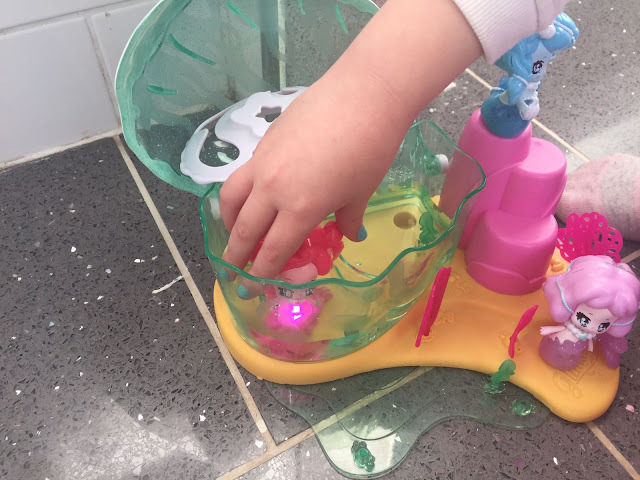 Priced at £4.99 for a single pack and £19.99 for the Glimsplash play-set, kids find them cute and the added light up feature makes them that little bit more interactive. My girls love the fact that these can be played with in water but also that game play can be expanded out of water by combining them with their original Glimmie collection too. Whether playing with the Glimmies separately in the bath or with the Glimsplash play-set, these adorable collectibles from Flair plc certainly provide hours of play time. They make a good gift and a lovely collection if you manage to find them all.